42 years ago it all started at the Chelsea Horticultural Society, but this year’s London Ski & Snowboard Show will be the first in many years not to be held in either Earls Court or Olympia. 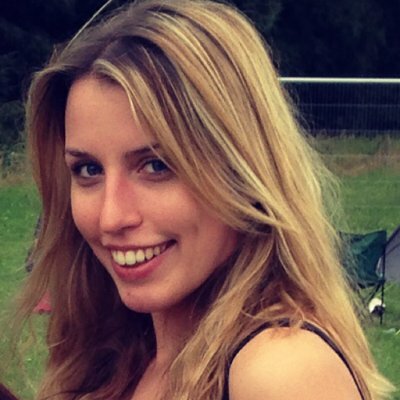 We asked the Suzanne Bayliss, Marketing Manager for the Show, about how the organisers have managed the change and their plans for this year’s event. Was it a long process finding a new venue and what were the reasons for choosing Battersea Evolution? We’d known for some time that Earl’s Court was closing its doors and that we would need to find a new home. Rather than moving to another traditional exhibition space we used this opportunity to take a step back and really look at the London event. What do our visitors want? What do our exhibitors want? If we had no restrictions, what would we do? What came out of this process was that we wanted to create something that truly brings the mountains to life and creates a unique experience for our visitors. We couldn’t do this within the confines of a traditional space, so we found our new home in Battersea Evolution. Our new location allows us to not only create an authentic Alpine village, within the picturesque surroundings of Battersea Park, but also work with award winning caterers SMART to produce world-class mountain street food, and Michelin-star style fine dining within our pop-up restaurant The Lodge – which after years of catering restrictions in Earls Court was a big pull. We have suffered alongside our visitors and exhibitors with over-priced, sub-standard food and drinks at Earls Court and were powerless to change it. Now we have a partner who understands that this is a KEY part of the visitor experience and have worked tirelessly alongside us to produce an authentic mountain menu whilst ensuring that prices stay reasonable. The indoor/outdoor hybrid that Battersea gives us allows us to offer live music, live comedy and an Alpine village experience which could never be achieved in an indoor venue such as Earls Court. Battersea Evolution still offers us the functionality of an exhibition hall but has allowed us to create an event that our visitors and exhibitors alike have wanted for many years. We understand that food and drink should be less expensive than at Earls Court? It’s not just the price that’s different this year, it’s the quality of food. From tartiflette to crepes, we’re serving up real food that evoke mountain tastes – no more cheap & nasty paninis with warm beer. Prices range from under a fiver to £9.75 for a premium moose burger with Guinness mustard. Our street food menu and prices are detailed here. As for drinks you can currently take part in wine tasting for only £5 and no beer will be more than a fiver. Further details about our four apres bars will be announced in the coming weeks. What was behind the decision to reduce the show length from 5 to 4 days and to move the dates to a week later? Following feedback from our exhibitors, we extended our opening hours on Thursday and Friday rather than opening on Wednesday. In reality we have only reduced the show length by 4 hours. We’re continuing to grow our Northern show and took the decision to move into half-term in Manchester, where our core audience is families with younger children. This year will see us expand our Manchester content with live music, halloween facepainters, a Frozen performance and the chance for kids to meet Olympic athletes including Jamie Nicholls and Rowan Cheshire. In London, our new dates mean we’re in the park during Battersea’s iconic fireworks display, and there’s something special about the atmosphere in London over that weekend. The covered space at Earls Court 2 was much larger (17000sqm) than Battersea Evolution. Has this affected your strategy for this year’s show? The reality is we never used all of Earls Court as the venue was bigger that the show could fill. Our footprint was in the region of 15000 m2. In Battersea we are adding a fully floored and heated extension of 1550 m2 to bring the indoor site to over 7000 m2. The outside space of the venue adds another 7150 m2 bringing the show space to 14150 m2 – just 850 m2 less than our footprint last year. In year one we wanted to stay comparable to 2014 in size and are very close to selling out all of the remaining space. In year two we have the option of using more of the land with the potential to bring the footprint up to 19000 m2. The London show has a festival feel this year, and as such we’ve created flexible options for exhibitors. Those who prefer a more traditional space are in the main hall and those who want to be outside close to Mount Battersea (our 50ft real-snow kicker) or the Altitude Comedy Tent can choose from a range of stand options, including additional outdoor covered space. An advance ticket to the Show last year was £12, while this year it’s £25. What’s the thinking behind this price rise and do you think it will affect footfall? The early signs are that numbers will increase. 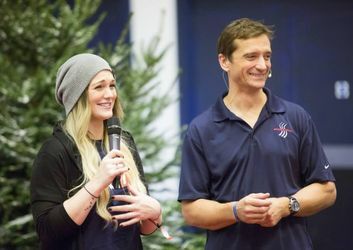 We have added a huge amount of content from live bands to live comedy from the likes of Marcus Brigstocke and Andrew Maxwell, four themed apres bars with authentic mountain drinks, Michelin-starred restaurant and street food priced reasonably, as well as investing over £100,000 in a real snow kicker to bring back international ski and snowboard competitions. We have also brought back the ever popular Fashion Show, The Wine Tasting Theatre and added Travel Genius – a free impartial holiday consultancy service for visitors. Despite all this investment we froze rates to all our loyal exhibitors. From our visitor and non-attendee research we learnt that whilst price is important the experience and value for money was more so: if a ticket costs £5 the expectation of that experience is set at the price of a pint of beer. 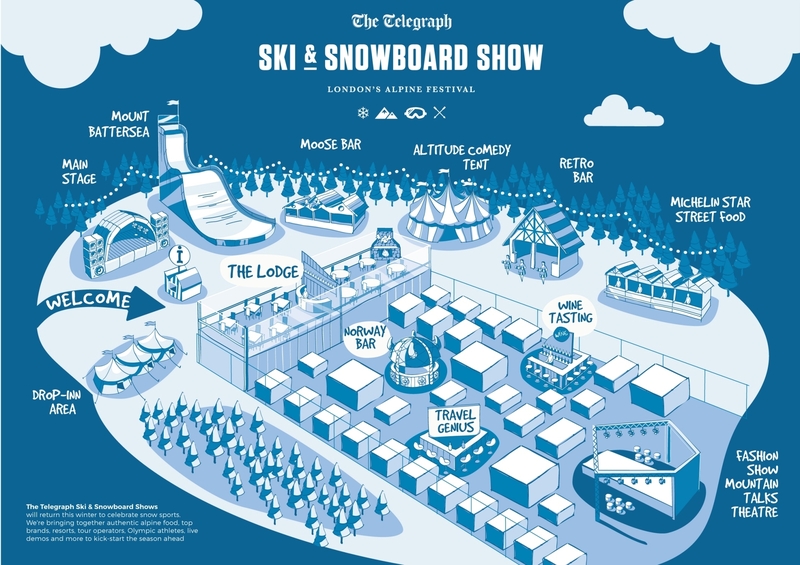 Our early bird ticket has just ended which gave visitors the chance to book for £20 but which also included a 6 month subscription to The Telegraph Ski & Snowboard magazine worth £17. It also included a £25 discount voucher when you spend over £500 at the show with selected retailers and operators. We have kept our policy of under 11’s go free where many other events and attractions charge for children’s tickets. If you compare our prices to the Freeze Festival an adult ticket is £50.00 plus a £4.45 booking fee and a children’s ticket which starts at 8 years is £32.45 including the booking fee. Clearly the organiser has based their ticketing model on the experience the visitor will have at the show. If you take Glastonbury, for example, you will pay £228.00 plus a £5 booking fee for three days of music. This event sells out every year because people know the content will be some of the best bands on the planet. 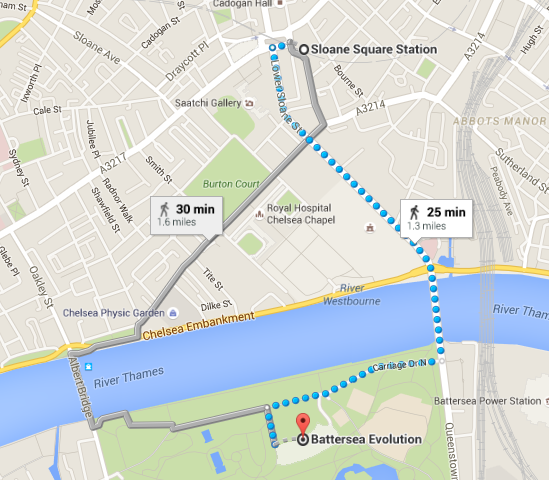 According to your website, it takes 15 minutes to walk from Sloane Square or Victoria and 5 from Battersea Park station. Can we double check that those figures are correct? We timed these ourselves (as our offices are in Victoria) but I guess it depends on each individual’s walking speed. Are you slower than me? For those who don’t want to walk there is parking nearby or buses which stop at the park. 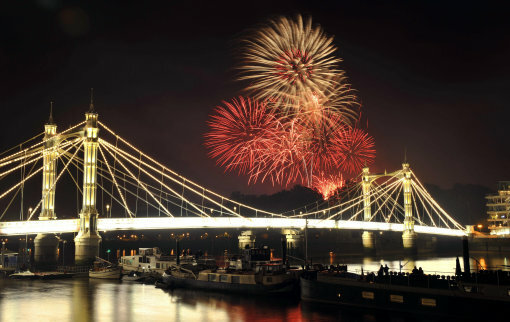 We know from the fireworks and the 55,000 visitors that attend those annually that Battersea’s transport links are excellent. For those of you who remember how appalling the Olympia tube service used to be will also remember that we had 42,000 attend the show back in 2007 during a tube strike. How fast does Google walk? Skipedia’s view: Will the new location work? We very much hope so. The London Show has always been the flagship consumer event for the industry. There is a core audience who will come to the show wherever it’s located and for whom it will always represent the ‘official’ start to the ski season. On the other hand, the location does not appear to be as well connected as Earls Court or Olympia and the increase in ticket costs – whatever the additional value – will undoubtedly put some people off. Value for money is in the eye of the beholder. There’s no doubt that many will go to the Show and get excellent value for money. The elephant in the room is, of course, the Freeze Big Air, taking place one week later on the other side of town. It’s not a ‘ski show’, but the timing is not ideal. Tickets are twice as expensive as the London Show, but Nile Rogers & Chic have been announced as the headline act and there’s a Snowboard World Cup Big Air on a 120m long kicker. The two events are very different. We hope both prove to be very successful. Surely the location and price has got to put many potential visitors off? Is a big kicker really a draw for the average skier? I’d also love to hear from any of the exhibitors who thought having it in November when their offices will be at their busiest was a good idea.